Season’s Greetings - Roberts Architects LTD Roberts Construction Group, Inc. This is a favorite page out of my sketchbooks. 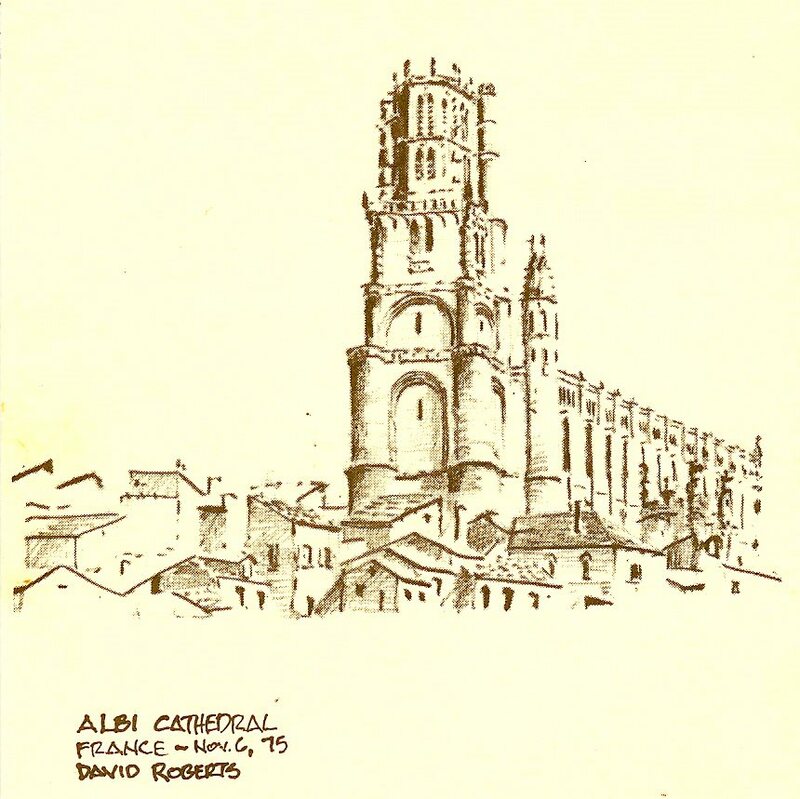 I sketched in Albi France on a cold rainy day as an architectural student during my study aboard year in 75-76. This sketch trip was lead by Larry Perkins and his wife Midge. My fellow students and I had to produce a minimum of four full sketches every day as we traveled through the villages and sites of this region of France. Everyday was a new locale, four new sketches , and every night a critique of our sketches by the master of sketching Larry Perkins. Larry’s critiques were direct to be sure, but in mentoring kind of way, and you always learned an important new technique, and even more about what it means to be an architect. Midge Perkins, a European historian filled us in on the regions history to put it all in perspective. Thank you Larry for sharing so much with me, and I’m still squinting ! Albi France, from Dave’s sketchbook.